Tubes & Wires by Rhythmic Robot is Soundware (e.g. samples or presets that load into other products). 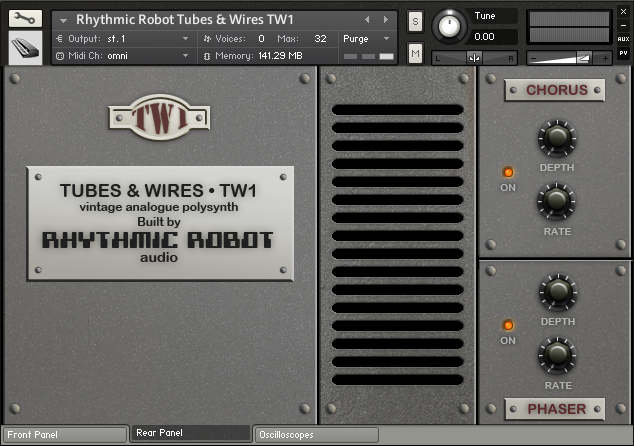 Tubes & Wires is a polysynth sampled from 1940s valve signal generators. 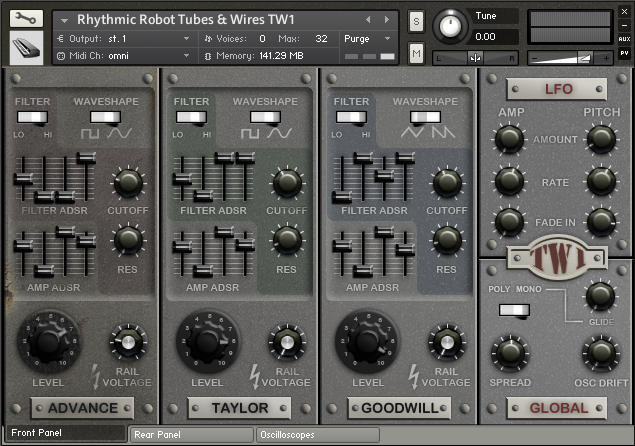 Tubes & Wires is a Kontakt.nki instrument whose three oscillators offer six sampled waves from old signal generators: a 1940s valve (tube) Advance unit, a 1940s valve (tube) Taylor unit and a 1970s transistor-based Goodwill unit. All the signal generators were to some extent faulty, malfunctioning and distorted. This provides a unique and unusual tonal palette from which to begin crafting sounds. Tubes & Wires builds on these basic waves (sine, square, sawtooth and triangle are all represented) with a full complement of synth controls, forming a complete polysynth with a distinctive old-fashioned sound. Advance valve (tube) oscillator offers Sine and Square waves. Taylor valve (tube) oscillator offers Sine and Square wave. Goodwill transistor oscillator offers Sawtooth and Triangle waves. Multimode filter with cutoff and resonance on each oscillator. Full Amplitude and Filter envelopes on each oscillator. "Rail Voltage" control on each oscillator increases harmonic distortion. Oscillator Drift control for additional analogue warmth. Phaser, Chorus and Stereo Spread controls. 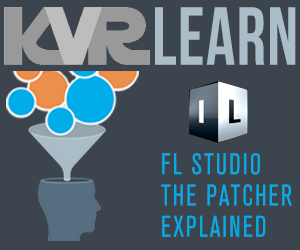 Requires Kontakt versions 4.2.3 and later.